Spectro SC is an economical single cell visible spectrophotometer which is ideal for small laboratories and educational institutions. This spectrophotometer delivers enhanced ease-of-use, precision and accuracy resulting in time and cost savings, as well as unprecedented confidence in test results. 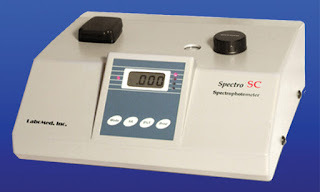 Spectro SC is easy to use, affordable, compact and light weight. It has a continuous wavelength ranging from 330 nm to 1000 nm and the ability to hold both square cells (10 mmx10 mm) and round test tubes. Spectro SC is rugged, reliable, low cost, and maintenance free. 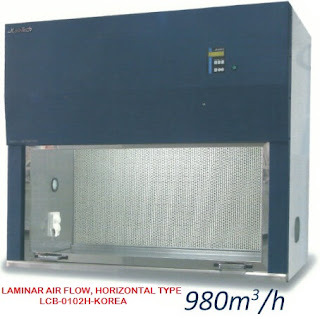 This instrument simplifies analysis and increases measurement capabilities for routine applications in various fields such as chemistry, biochemistry, agricultural, petrochemistry, environmental protection, science classes, educational laboratories and general analytical industry. This Spectro can be used by itself or linked to a PC. 3.Auto transmission, absorption, concentration and factor. 5.It can use square or round cells. 6.Interface RS232 to link to a computer. 8.Built in stray light filter. 9. 1200 /mm. grating mirror. 10. Computer System is optional (NOT INCLUDED). a.2 square cells 10 mm x 10 mm. manual (Specify: Spectro SC). The operation manual is available in 18 different languages. Optical System Grating, 1200 lines/mm. 330 (W)x130 (H)x270 (D) mm.